The Madness is back! One could argue this is the most exciting time to be a sports fan. The NCAA Men’s Basketball tournament never disappoints with the excitement of a single elimination tournament in which anything could happen (except most likely a #16 defeating a #1 seed). This year’s tournament features many notable storylines, including, can the #1 overall seeded Villanova Wildcats repeat as tournament champs for the first time since the 2006-07 Florida Gators? 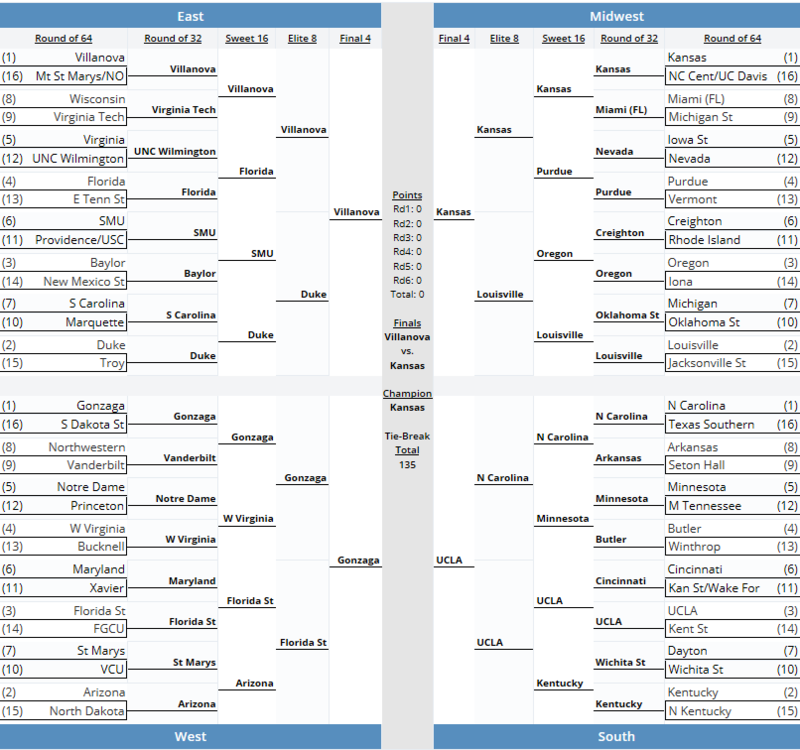 The bracket makers certainly didn’t make it easy with a potential match-up with Duke standing in the way. Is this the year Gonzaga is the complete package and can win it all? What did Wichita State do to the committee to get chronically under seeded and because of that, potentially have to face Kentucky in the Round of 32? Next Post:Justin Turner: All-Star Snub or Accurate?